Duncan Gordon Kilba was born Saturday, January 10th 1998 at 6:20 pm in Kamloops BC, to the proud parents of Greg Kilba of Kamloops BC, and Karen Kilba of Whitecroft BC. Duncan passed away suddenly on March 2nd, 2017 at the age of 19. Duncan was survived by his parents, Greg Kilba (Earllene), Karen Kilba (Ray), Brother Benton, Sister Grace, and two half-brothers Caleb and Zander. His Grannie and Grandpa Barb and Mike Kilba of Clearwater, Nana and Papa Cheryl and Gordon Tetz of Falkland, Auntie and Uncle Diane and Robert Tetz, Auntie and Uncle Sue and Ryan Oevermann, Cousins Landen and Montana Oevermann, Auntie Tanya Kilba, girlfriend Morgan Sauer, best friend Cameron Paille, and the many second cousins, great aunts and uncles, and his abundance of friends. Duncan was preceded in death by Great Grandad and Great Grannie , Jan and Jean Pearce, and Great Uncle Dennis Kilba. 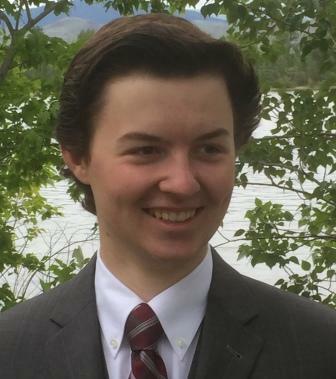 While living in Kamloops, Duncan attended NorKam Secondary School and graduated last spring with academic honours. Duncan was starting his adult life with his girlfriend Morgan. He was very proud of his new home, was working as a contractor in the flooring business, and had many side projects on the go. He liked to keep himself busy and productive, and everything Duncan put his mind to, he did it 110%. Duncan had a passion for and was a master in hunting, fishing, and target shooting. Duncan loved to work with his hands and was a very talented young man. He leaves behind many woodworking projects to be cherished for years to come. Duncan donated his time to helping build the Kamloops BMX buildings. He enjoyed helping his mother with her business, making products and any project she dreamed up. He was always willing to help out. What Duncan will be most remembered for is his compassion, his willingness to help anyone and the value he put into doing his work to a very high standard. He worked hard for what he wanted, and he was a very mature and loving person. He was a wise soul and felt life deeply. He wanted everyone in his life to be happy. Duncan always put others before himself and was a truly loyal son, brother, partner and friend. His family loved spending time with him and were always excited for the times when Duncan was going to be with them – he was the glue that brought everyone together. Duncan’s father has many fond memories with his son. Many of them involving fishing and hunting trips with Duncan, many times with family, friends and most recently with his girlfriend. These memories will be forever cherished. Duncan’s mother also has many stories, and memories to share, but expressed one of her sweetest memories of Duncan was when the two of them went shopping in the hardwood section for the wood for a table that Duncan wanted to build for her. She will never forget how excited he got about wood, and they both had so much fun just looking through all the choices and discussing his vision. It was a very special day for her, as any day with Duncan was always special to her. Duncan will remain in all of our hearts, as his light shone so bright in his short time on earth. He will be forever remembered and we all will carry his loving spirit forward in honour of this amazing young man. I am very sorry for your lose. My name is Bryan Fischer. I had the privilege to have Duncan work for me during the construction of the kamloops casino. Although it was a very brief time I knew Duncan I still have fond memories of him. Out of the 300 plus workers I had on that site Duncan stood out to me and the entire company of Plainsman Construction. One memory I had of Duncan was during his first week working for me he pulled me aside and he was concerned that the temporary safety railing post were not perfectly level and that the guys doing the work “didn’t even care” he told me. At first I didn’t think much of it but that little comment has stuck with me to this day. In my line of work it is so easy to disregard little things like that and I still think of Duncan’s concerned comment to keep work in check and make sure the little details are not overlooked. Duncan was always eager to learn, showed great pride in all his work and just a very talented carpenter at such a young age. A great person to talk with and him and I had many “coffee time” conversations about fishing and hunting spots. He was just a good person all around. I will miss Duncan and the little run-ins we had at the hardware store over the years. sorry to hear of your loss Greg and family, my heart hurts for all of you, thinking of you at this hard time. Such an amazing young man. So sorry for your loss. Thinking of the family as you go through this dark time. Though I never met Duncan, I know how his passing will have left a hole in your lives. Please accept my condolences and sympathy. Although I didn’t get to spend a lot of time with Duncan , the little time we did talk was a pleasure for me . He always kept me interested as he talked about his wood working projects and at the same time he was humble and modest . Duncan was a very pleasant young man with a very easy smile and very well mannered . I will miss him . Our deepest sympathies are with you at this difficult time. It is an extreme pleasure to have known and worked with Duncan. He was such a kind hearted person with an amazing work ethic. He will be greatly missed. We’re very sorry for your loss. Our deepest condolences to you and your family. my condolances to you all.Know that I have been thinking of you all in your time of need! I only knew Duncan for a short time, Morgan’s grandpa and I thought he was a delightful young man with his big smile and his dimples. He was always very respectful at our dinner table and had a very good sense of humour. Morgan was so very happy when she was with him, I remember when Shannon told me she might be coming home for a few days I told her Morgan probably won’t want to leave Duncan’s side. He will be so missed by everyone who loved him!!!! May god be with your family and strengthen you in this stressful time. Very sorry to hear of your loss. Our sincere condolences to you all at this very difficult time. Hope you find comfort in the memories of him. He will forever live in your hearts. We are heartbroken for your loss Karen and Greg. I have been thinking about you so much and what you must be going through. Nothing I say can bring him back and that’s all you want. I hope the love of family and friends will help you through this most awful time. I truly hope that with time your heart will learn to live with Duncan’s passing and remember him for the wonderful person he was. We are here for you and thinking of you. We are still at a loss for words. What we do know is our minds are full of great memories, but a part of our hearts is missing. We love you Karen, Benton, Gracie and Greg. I wish I could be at the celebration of life. I knew Duncan we were friends in high school. We graduated together we were all so happy for one another. He was always kindhearted and caring. I’m sorry for your loss Greg, Karen, and family. There are no words to adequately express my sorrow and sympathy in hearing of Duncan’s passing. As you know, I had the pleasure of teaching Greg and getting to know his parents and extended family. I was delighted, years later, to meet Karen, Duncan, Benton and Grace. I have such fond memories of teaching the boys! Duncan was a very gentle soul who was well-liked by all his classmates. His kindness, his willingness to share and his ready laugh made him popular with everyone! I will always remember Duncan as a little boy who cared deeply about others and it is obvious that these fine qualities were with him as he entered adulthood. My love and prayers are with all of you! There are no words to adequately express my sympathy in the loss of your precious son and brother! I had the pleasure of teaching Greg in grade two and getting to know his parents and extended family and then many years later, meeting Karen, Duncan, Benton and Grace. I had the distinct privilege of teaching Duncan and will always remember His quiet and caring nature, his gorgeous dimples and the way his eyes lit up when he learned something new. He was such a kind friend to his classmates and they loved him in return. Our thoughts and prayers are with you in the loss of your beloved Duncan. I have such fond memories of teaching Greg, getting to know his parents, Tanya and their extended family and then years later having the privilege to meet Karen, Duncan, Benton and Gracie. I will always remember Duncan’s gentle nature, his kind regard for his classmates, his love for his family and his expressive eyes and gorgeous dimples! He will be missed! To the Kilba family , so very sorry for your loss ! So very sorry to hear of your loss. Sending much love and strength.